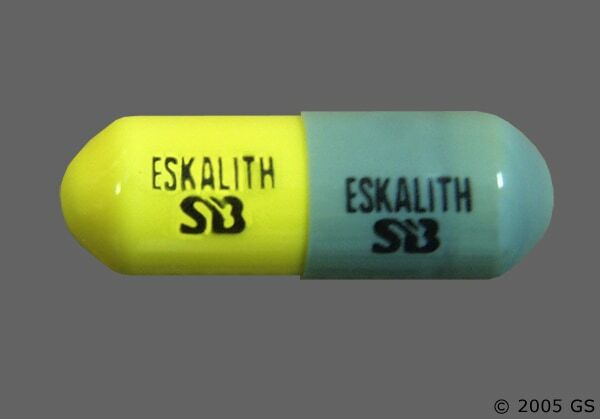 ESKALITH (lithium carbonate) is indicated in the treatment of manic episodes of manicdepressive illness. Maintenance therapy prevents or diminishes the intensity of subsequent episodes in those manic-depressive patients with a history of mania. Typical symptoms of mania include pressure of speech, motor hyperactivity, reduced need for sleep, flight of ideas, grandiosity, elation, poor judgment, aggressiveness and possibly hostility. When given to a patient experiencing a manic episode, ESKALITH may produce a normalization of symptomatology within 1 to 3 weeks. When switching a patient from immediate-release capsules to ESKALITH CR ControlledRelease Tablets, give the same total daily dose when possible. Most patients on maintenance therapy are stabilized on 900 mg daily, e.g., ESKALITH CR 450 mg b.i.d. When the previous dosage of immediate-release lithium is not a multiple of 450 mg, e.g., 1,500 mg, initiate ESKALITH CR at the multiple of 450 mg nearest to, but below, the original daily dose, i.e., 1,350 mg. When the 2 doses are unequal, give the larger dose in the evening. In the above example, with a total daily dose of 1,350 mg, generally 450 mg of ESKALITH CR should be given in the morning and 900 mg of ESKALITH CR in the evening. If desired, the total daily dose of 1,350 mg can be given in 3 equal 450-mg doses of ESKALITH CR. 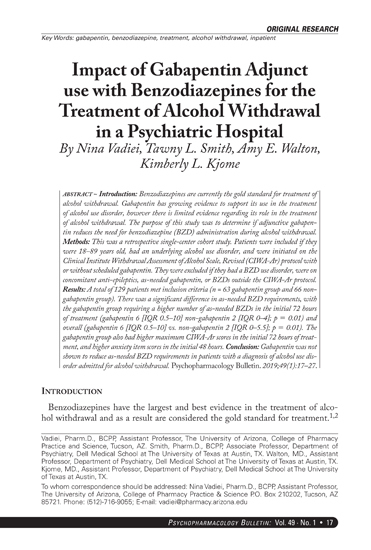 These patients should be monitored at 1- to 2-week intervals, and dosage adjusted if necessary, until stable and satisfactory serum levels and clinical state are achieved. When patients require closer titration than that available with doses of ESKALITH CR in increments of 450 mg, immediate-release capsules should be used. Acute Mania: Optimal patient response to ESKALITH can usually be established and maintained with 1,800 mg per day in divided doses. Such doses will normally produce the desired serum lithium level ranging between 1.0 and 1.5 mEq/L. Dosage must be individualized according to serum levels and clinical response. Regular monitoring of the patient’s clinical state and serum lithium levels is necessary. Serum levels should be determined twice per week during the acute phase, and until the serum level and clinical condition of the patient have been stabilized. Long-Term Control: The desirable serum lithium levels are 0.6 to 1.2 mEq/L. Dosage will vary from one individual to another, but usually 900 mg to 1,200 mg per day in divided doses will maintain this level. Serum lithium levels in uncomplicated cases receiving maintenance therapy during remission should be monitored at least every two months. Patients unusually sensitive to lithium may exhibit toxic signs at serum levels below 1.0 mEq/L. N.B. : Blood samples for serum lithium determinations should be drawn immediately prior to the next dose when lithium concentrations are relatively stable (i.e., 8 to 12 hours after the previous dose). Total reliance must not be placed on serum levels alone. Accurate patient evaluation requires both clinical and laboratory analysis. Elderly patients often respond to reduced dosage, and may exhibit signs of toxicity at serum levels ordinarily tolerated by younger patients. Lithium should generally not be given to patients with significant renal or cardiovascular disease, severe debilitation or dehydration, or sodium depletion, since the risk of lithium toxicity is very high in such patients. 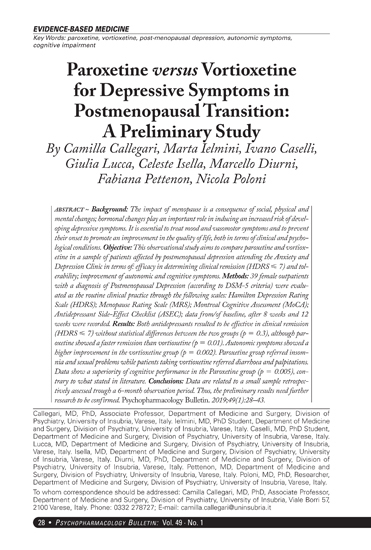 If the psychiatric indication is life-threatening, and if such a patient fails to respond to other measures, lithium treatment may be undertaken with extreme caution, including daily serum lithium determinations and adjustment to the usually low doses ordinarily tolerated by these individuals. In such instances, hospitalization is a necessity. Chronic lithium therapy may be associated with diminution of renal concentrating ability, occasionally presenting as nephrogenic diabetes insipidus, with polyuria and polydipsia. Such patients should be carefully managed to avoid dehydration with resulting lithium retention and toxicity. This condition is usually reversible when lithium is discontinued. Morphologic changes with glomerular and interstitial fibrosis and nephron atrophy have been reported in patients on chronic lithium therapy. Morphologic changes have also been seen in manic-depressive patients never exposed to lithium. The relationship between renal functional and morphologic changes and their association with lithium therapy have not been established. When kidney function is assessed, for baseline data prior to starting lithium therapy or thereafter, routine urinalysis and other tests may be used to evaluate tubular function (e.g., urine specific gravity or osmolality following a period of water deprivation, or 24-hour urine volume) and glomerular function (e.g., serum creatinine or creatinine clearance). During lithium therapy, progressive or sudden changes in renal function, even within the normal range, indicate the need for reevaluation of treatment. An encephalopathic syndrome (characterized by weakness, lethargy, fever, tremulousness and confusion, extrapyramidal symptoms, leukocytosis, elevated serum enzymes, BUN and FBS) has occurred in a few patients treated with lithium plus a neuroleptic. In some instances, the syndrome was followed by irreversible brain damage. 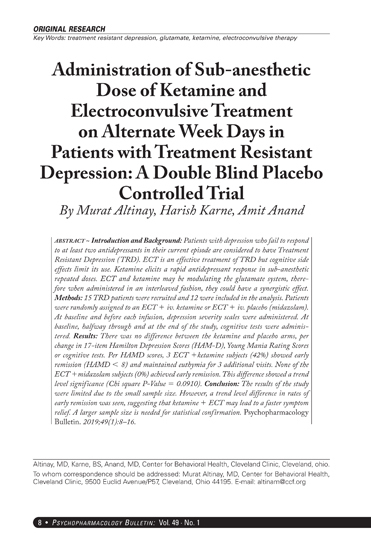 Because of a possible causal relationship between these events and the concomitant administration of lithium and neuroleptics, patients receiving such combined therapy should be monitored closely for early evidence of neurologic toxicity and treatment discontinued promptly if such signs appear. This encephalopathic syndrome may be similar to or the same as neuroleptic malignant syndrome (NMS). Lithium toxicity is closely related to serum lithium levels, and can occur at doses close to therapeutic levels (see DOSAGE AND ADMINISTRATION). 3 Outpatients and their families should be warned that the patient must discontinue lithium carbonate therapy and contact his physician if such clinical signs of lithium toxicity as diarrhea, vomiting, tremor, mild ataxia, drowsiness, or muscular weakness occur. Lithium carbonate may impair mental and/or physical abilities. Caution patients about activities requiring alertness (e.g., operating vehicles or machinery). Lithium may prolong the effects of neuromuscular blocking agents. Therefore, neuromuscular blocking agents should be given with caution to patients receiving lithium. General: The ability to tolerate lithium is greater during the acute manic phase and decreases when manic symptoms subside (see DOSAGE AND ADMINISTRATION). The distribution space of lithium approximates that of total body water. Lithium is primarily excreted in urine with insignificant excretion in feces. Renal excretion of lithium is proportional to its plasma concentration. The half-life of elimination of lithium is approximately 24 hours. Lithium decreases sodium reabsorption by the renal tubules which could lead to sodium depletion. Therefore, it is essential for the patient to maintain a normal diet, including salt, and an adequate fluid intake (2,500 to 3,000 mL) at least during the initial stabilization period. Decreased tolerance to lithium has been reported to ensue from protracted sweating or diarrhea and, if such occur, supplemental fluid and salt should be administered under careful medical supervision and lithium intake reduced or suspended until the condition is resolved. In addition to sweating and diarrhea, concomitant infection with elevated temperatures may 4 also necessitate a temporary reduction or cessation of medication. 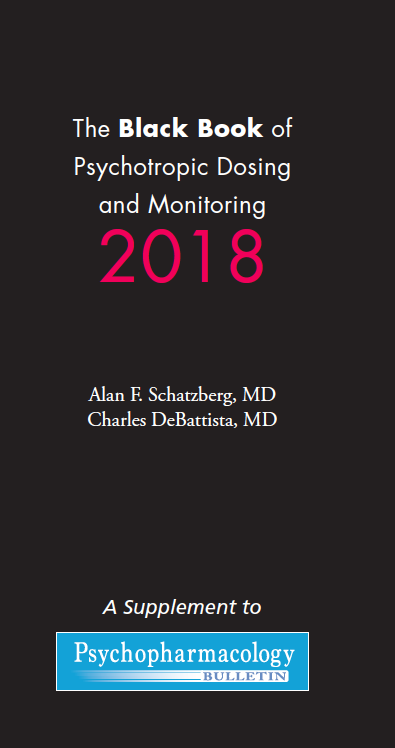 Previously existing underlying thyroid disorders do not necessarily constitute a contraindication to lithium treatment; where hypothyroidism exists, careful monitoring of thyroid function during lithium stabilization and maintenance allows for correction of changing thyroid parameters, if any; where hypothyroidism occurs during lithium stabilization and maintenance, supplemental thyroid treatment may be used. Caution should be used when lithium and diuretics are used concomitantly because diuretic-induced sodium loss may reduce the renal clearance of lithium and increase serum lithium levels with risk of lithium toxicity. Patients receiving such combined therapy should have serum lithium levels monitored closely and the lithium dosage adjusted if necessary. Lithium levels should be closely monitored when patients initiate or discontinue NSAID use. In some cases, lithium toxicity has resulted from interactions between an NSAID and lithium. Indomethacin and piroxicam have been reported to increase significantly steady-state plasma lithium concentrations. There is also evidence that other nonsteroidal anti-inflammatory agents, including the selective cyclooxygenase-2 (COX-2) inhibitors, have the same effect. In a study conducted in healthy subjects, mean steady-state lithium plasma levels increased approximately 17% in subjects receiving lithium 450 mg b.i.d. with celecoxib 200 mg b.i.d. as compared to subjects receiving lithium alone. Concurrent use of metronidazole with lithium may provoke lithium toxicity due to reduced renal clearance. Patients receiving such combined therapy should be monitored closely. There is evidence that angiotensin-converting enzyme inhibitors, such as enalapril and captopril, and angiotension II receptor antagonists, such as losartan, may substantially increase steady-state plasma lithium levels, sometimes resulting in lithium toxicity. When such combinations are used, lithium dosage may need to be decreased, and plasma lithium levels should be measured more often. Concurrent use of calcium channel blocking agents with lithium may increase the risk of neurotoxicity in the form of ataxia, tremors, nausea, vomiting, diarrhea, and/or tinnitus. Caution is recommended. The concomitant administration of lithium with selective serotonin reuptake inhibitors should be undertaken with caution as this combination has been reported to result in symptoms such as diarrhea, confusion, tremor, dizziness, and agitation. The following drugs can lower serum lithium concentrations by increasing urinary lithium excretion: acetazolamide, urea, xanthine preparations, and alkalinizing agents such as sodium bicarbonate. The following have also been shown to interact with lithium: methyldopa, phenytoin, and carbamazepine. Autonomic: Blurred vision, dry mouth, impotence/sexual dysfunction. Thyroid Abnormalities: Euthyroid goiter and/or hypothyroidism (including myxedema) accompanied by lower T3 and T4. I131 uptake may be elevated. (See PRECAUTIONS.) Paradoxically, rare cases of hyperthyroidism have been reported. EEG Changes: Diffuse slowing, widening of the frequency spectrum, potentiation and disorganization of background rhythm. Miscellaneous: Fatigue, lethargy, transient scotomata, exophthalmos, dehydration, weight loss, leukocytosis, headache, transient hyperglycemia, hypercalcemia, hyperparathyroidism, excessive weight gain, edematous swelling of ankles or wrists, metallic taste, dysgeusia/taste distortion, salty taste, thirst, swollen lips, tightness in chest, swollen and/or painful joints, fever, polyarthralgia, dental caries. Some reports of nephrogenic diabetes insipidus, hyperparathyroidism, and hypothyroidism which persist after lithium discontinuation have been received. A few reports have been received of the development of painful discoloration of fingers and toes and coldness of the extremities within one day of the starting of treatment with lithium. The mechanism through which these symptoms (resembling Raynaud’s syndrome) developed is not known. Recovery followed discontinuance. Cases of pseudotumor cerebri (increased intracranial pressure and papilledema) have been reported with lithium use. If undetected, this condition may result in enlargement of the blind spot, constriction of visual fields, and eventual blindness due to optic atrophy. Lithium should be discontinued, if clinically possible, if this syndrome occurs.